Whether it's finding the right royalty free music or perfecting that shoot, these tips for filmmakers are going to take it to the next level. You've got an incredible documentary: every shot is perfect. Now, it's time to add the stock music. Adding music to a documentary is more than just simply grabbing random pieces that you may think sound good. So... how do you do it? Not to worry. We're diving into the most important things to remember when picking stock music for your documentary. But, how did it make you feel? Think of the iconic movies you know. What do they all tend to have in common? A recognizable song (or several, depending). Whether it was custom written for the movie (Star Wars), or is part of pop culture (Top Gun), hearing that music can make you feel like you did when you watched the movie. While you likely can't afford your own composer, you can still choose the right stock music that can produce similar results. Heighten an already dramatic moment? Feel light, after something tense? Simply fill in a space between scenes, or create a segue between them? Understanding these key things will help when you're ready to start listening to stock music. To make it easier for you, we've classified music by moods. Your documentary tells a story in words and pictures. And while those may be extremely compelling, without good music to weave them together, you may not get the response you want. Make sure that the stock music you choose also helps to tell your story. Each of these has a different shape based on what's going on. In Choros, a film by Michael Langan, the music seems to follow the movements of the dancer. The repeating nature of the music highlights and enhances the image duplication. It gives the film a degree of life that might've been lost if a different shape of music had been chosen. Have you ever watched someone try to dance and it seems they just can't find the rhythm of the song? That's what can happen with your documentary if you choose stock music with the wrong pace. Like mood and tone, you want the music to carry your viewer along, not drag or push them through the film. Even though you may not be using a song by Lady Gaga or some other instantly recognizable artist to evoke a particular feeling, it doesn't mean you can pick a style that is similar. An example might be using steel guitar music with a scene in the country or something with a pop beat for an urban setting. Be careful using stock music that's too closely recognizable, though. You'll lose your viewer to the memories they already have of a particular song. There are times when an intentional juxtaposition of musical style and the action of a scene can work, but it has to be chosen carefully. For example, Silence of the Lambs used a piece by Bach during a particularly brutal scene, but that technique may not be right for your documentary. Also, keep an ear out for instruments that clash with the human voice, if you're looking to add stock music in the background of an interview. Chances are, you'll listen to quite a few tracks before narrowing it down. It may feel like millions. Or, you'll hit play... and fall in love. Be careful not to become too attached to a particular track, if you find it just doesn't fit with your film. Like a shoe that's just too small, sometimes a piece may sound perfect but you can't make it work. Don't force it (but you can make note of it for a future project). Have you ever tried watching a film without the sound? Were you surprised by something that happened, that you didn't see coming? The right stock music can foreshadow something that's about to happen. It can add tension and prepare your viewer for what's next. Would Jaws have been half as scary without that ominous music? When you're learning public speaking, one of the tips people often give is, "Don't be afraid of silence". The same can work in your documentary. Like choosing the right music, choosing the right moments to use silence are just as important. Overused, it may seem like you forgot something. Watch Tony Zhou's analysis in The Art of Silence for tips on getting it right. 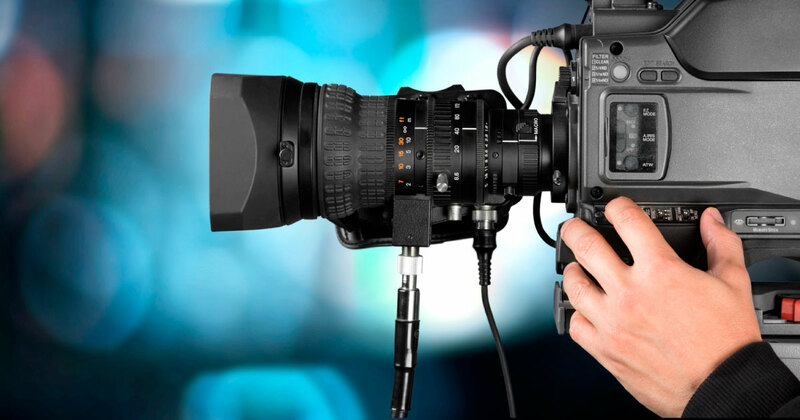 Your documentary likely has interviews, voiceovers and other scenes where people are talking. Choosing music without lyrics may be the better fit for your film, so the words of the song and your film don't clash. Even a scene without anyone speaking could benefit from an instrumental piece, making it more impactful. Music is an important part of any film and can be especially important for a documentary. But affording the latest track by a well-known musician (or even parts of the song) can cost the amount you have budgeted for all the music - and it's just one song! Plus, you need to make sure that it's music you're licensed to use, the way you want to use it. That's where royalty-free music comes in. While it's not completely free like the name may imply, it is significantly cheaper. Why? Royalty-free (or stock music) is created specifically for use in movies, TV, etc., rather than licensing an already-popular song (expensive), or hiring your own composer (possibly even more expensive). When you're ready to add high-quality stock music to your documentary, check out NeoSounds licensing options.